Sunday sequels is my own meme. Every Sunday, I'll post covers, news, or other stuff about sequels in a popular series. This week I'm going to talk about A Million Suns (Across the Universe #2) by Beth Revis. 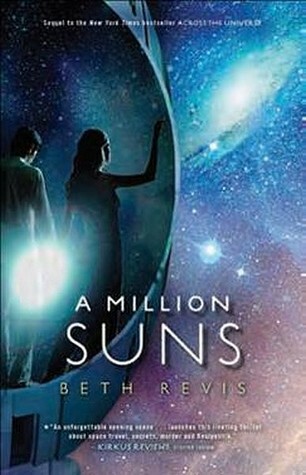 Once again, Revis' new novel has a gorgeous cover. While I don't think I like this one as much as Across the Universe's, it is still pretty amazing. Also, the synopsis promises for a story packed with excitement and drama. "They have to get off this ship"? Now that is what I call a desperate situation. I can't wait to see how Amy and Elder handle it!